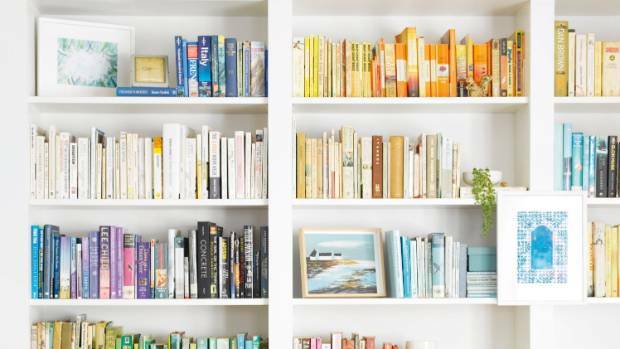 An organised bookshelf is a game changer in a home. E-book popularity is on the rise. 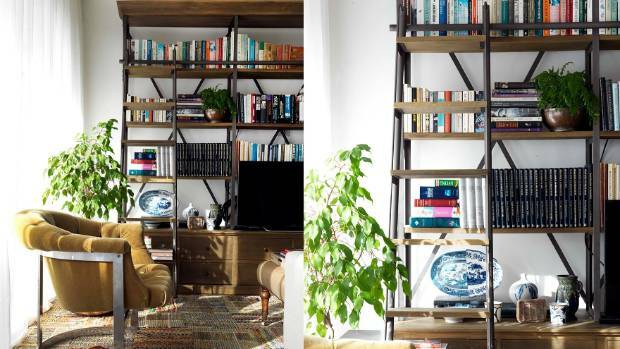 But for bookworms who still prefer the feel – and the look – of real books, here are four different ideas on how to style your bookshelf as a decor statement. This will require an artful eye, and will brighten any room. A colour blocked bookshelf is sure to be a stand out feature. It may take a while to get right, but there’s something satisfying about a colour co-ordinated bookshelf. Bookshelves aren’t just for books. Carefully arranging little collectibles, crockery and trinkets among the books makes a more interesting display. 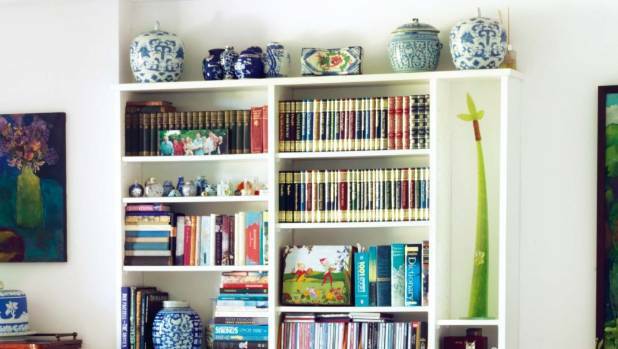 Pot plants, pottery and picture frames are great items to add to your bookshelf. Book lovers will immediately see the impracticality of this suggestion. However turning the spine around so the pages of the books are facing out creates a neutral, streamlined display. For those who don’t access their books on a regular basis, it is a chic and clean style to try.